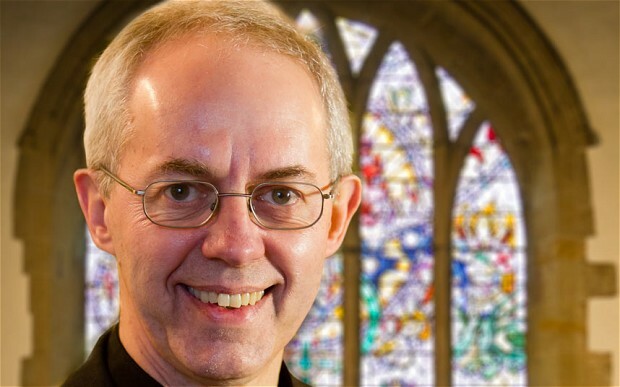 One of my favorite global leaders is the Archbishop of the Church of England and Anglican Communion, Justin Welby. He is a voice of reason and moderation while holding strongly to his Christian faith. He is not afraid to listen and dialogue with those of other faiths, as evidenced again recently when he spoke at an event in Cardiff, Wales. He not only spoke there, but listened as it was an interfaith dinner hosted by the Muslim Council of Wales. Interestingly, it was also the first time in one place that heads of the Anglican Communion in Ireland, Scotland, Wales and England had all met together for many years, if ever in that kind of context. This testifies to the Archbishop’s heart for unity as well. Archbishop Welby made some very important remarks at the dinner, reported on in an article in The Telegraph. (Thanks to my friend Peter A. for alerting me to it through FB.) His comments centered around the danger of a “fear of Muslims and their role in British society” that is “tearing British society apart”. He describes this fear and tension as being something in a degree “new to me in my lifetime”. This fear and tension is not unique to Great Britain but is of varying degrees in other Western countries including the US. Wow, a “counter-narrative” that is more “beautiful” than a “message of hate, despair and destruction.” A counter-narrative is a different story, a different way of living out our faith as Christians (or Muslims). A different set of values. A not giving in to the fear instilled by many of the media outlets these days. It is important to remember where Archbishop Welby gave these remarks. It was at a dinner hosted by a Muslim Council. Yes, he goes to those events. Yes, he eats with those people. Yes, he listens and not only speaks. Please if you are a Christian reading this, don’t be tempted to think that Welby is a compromiser or not strong in his love for Jesus. I serve with a mission where I know people who have known the Archbishop personally for many years. They know him. They have told me he is not weak or wishy-washy in his faith. But he is willing to listen and engage. We need more people in Great Britian, Australia, the USA, Iran, Saudi Arabia, Uganda and every nation, like Archbishop Welby, that will be willing to engage with those of the “other”. This is not a pipe-dream or fantasy. It is already happening. But must happen much, much more. The future depends on it.